Are Coastal FIRMs Useless for Underwriting? Earlier this month the New York Times published an op-ed piece discussing the new FIRMs in New Orleans. Now, if ever there were going to be contentious flood maps published by FEMA, these would be them. It is nigh impossible to discuss flood mitigation or flood risk in that city objectively after Katrina. New Orleans officials protested in 2009 when FEMA released drafts of new maps suggesting most of the city was still (i.e. after Katrina) vulnerable. Knowing the flood maps would shape the city’s future — dictating property values, insurance premiums and perceptions of the city’s viability — the officials claimed that FEMA had not adequately taken into account the protection offered by the $14.5 billion post-Katrina levee system. Now, after more than six years of waiting and wrangling, the finalized maps FEMA released this spring reflect the most optimistic possible assessment. FEMA’s maps mean homeowners who rebuilt in neighborhoods that flooded in 2005 — including, to give just one example, the area around a new memorial exhibition at the site of a catastrophic levee failure — will no longer be required to buy flood insurance. Insurance rates will fall, and despite the city’s cautions to the contrary, many will forgo coverage altogether. Property values will rise. Cash-strapped New Orleanians will celebrate. And finally, Mr. Horowitz’s kicker: a likely outcome of this new federal policy is that when — not if — New Orleans floods again, thousands of people will be worse off than they were during Hurricane Katrina: When their homes flood, they will not have flood insurance (my italics). The timing of this article was perfect, because a colleague (thank you Mike Alwais) and I have been trying to independently evaluate the relationship of FIRMs (note: R = Rate, not Risk) with flood risk. One of the questions we are hoping to answer is: how useful are coast FIRMs for underwriting flood insurance? One man who would not be surprised at our results is Mr. Horowitz. Our methodology for our evaluation was straight forward: we used the InsitePro Flood Risk Score on 14,000 properties near the East and Gulf Coasts, and segmented the properties by FEMA Zone and Score. The InsitePro score goes from 0 to 100 (100 = High Risk) and is based on two flood models, a surge wave height model (NOAA’s SLOSH) and high quality elevation data. It is independent of FEMA data. 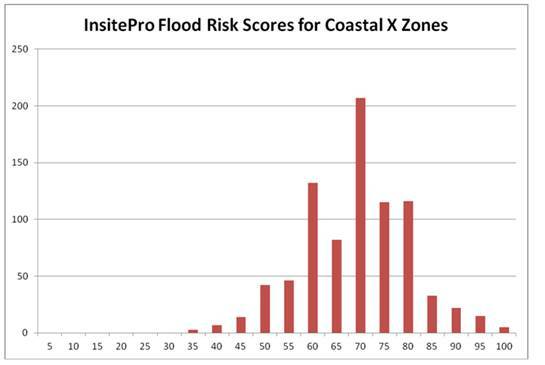 Below is a histogram of scores for coastal locations in X Zones. No surprises here: the risks are all higher on the scale. The score is meant to be used anywhere in the country, so the low scores are typically inland, away from sources of flooding. 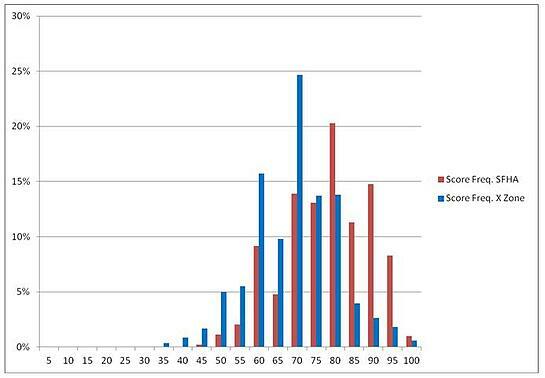 This is where the surprise lies (maybe not for Mr. Horowitz): the histograms are almost identical! The SFHA and X Zone histograms are much the same shape, with similar ranges. The only difference is a slight increase in the mode score: X Zones have a mode around 70, while SFHA Zones have their mode around 80. The conclusion? 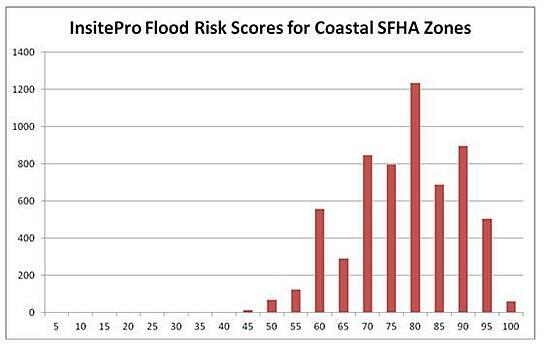 There is no meaningful difference in flood risk between the FEMA flood zones. I’m not a statistician, but I would definitely expect X Zones to be shifted, en masse, way lower than the SFHA Zones, with very little overlap between the two histograms. 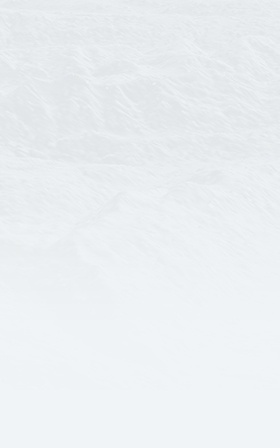 What does this mean for flood underwriters? The answer is clear: coastal FIRMs are useless for assessing and rating flood risk. The FIRMs are enabling redevelopment and property appreciation, which is a political requirement, at the expense of risk management, which is an insurance requirement. If you’re underwriting or managing flood risk on the coast, DO NOT use the FIRMs.